Living in Vancouver means having the freedom to take a road trip to some of the most beautiful landscapes in the world. Few experiences compare to being out on the open road, surrounded by lush trees and your family or friends. Vancouver is also the perfect starting point if you want to take a country-wide road trip of Canada. Unlike other provinces, you can to start from one coast and make your way to the other. Beginning at the west coast means you get to take in the stunning view of the Rockies up close. Here are some other reasons why you should take a road trip. You get to go at your own pace when you go on a road trip. Easily escape tourist-filled spots and opt for lesser known areas instead. If you feel tired, you can take your time and rest for a bit and if something does not interest you, feel free to move on. Road trips are the best way to travel at your own pace. Road trips let you explore the in-betweens, which is especially useful in a country as large as Canada. Even British Columbia itself is larger than a lot of nations in the world. While flying from city to city is much faster than driving, you end up missing out on all the places between those cities. “Flyover” towns offer some of the most beautiful sights and the kindest people. Spending your vacation driving from place to place may seem like a nuisance until you realize it is not. After all, you are not spending it in rush hour trying to make it to work on time. Road trips remind us that it is not about the destination but, instead, about the journey. It makes you venture out of your comfort zone and explore places you may never have been to otherwise. Spending time sitting quietly in a car is a great way to reflect, especially if you have a major decision you are sitting on. Because you are fully in control of a road trip, you can plan it however you want. You do not have to compromise with strangers in a tour group. If you like being outdoors, you can centre your road trip around hiking, camping, and fishing, but if you prefer a laid back trip, you can spend your time in shops and visiting obscure restaurants – the choice is completely yours. If you make friends along the way, you are free to join them for a bit and then get back to your route. Blast your favourite music in the car as you drive to wherever you want to go. Your options are endless, and you can spend your time exactly how you want. 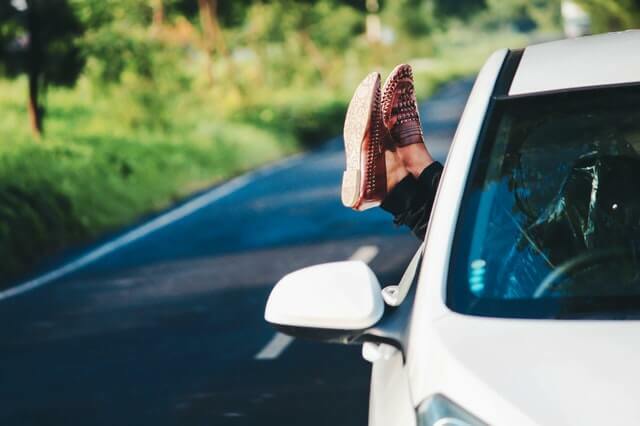 If you want to venture off on a road trip but do not want to rack up miles on your vehicle, rent a car instead. Access Rent a Car has several models available at competitive rates. Call us today for a quote.